Looking to get a grand foyer look but not sure how? 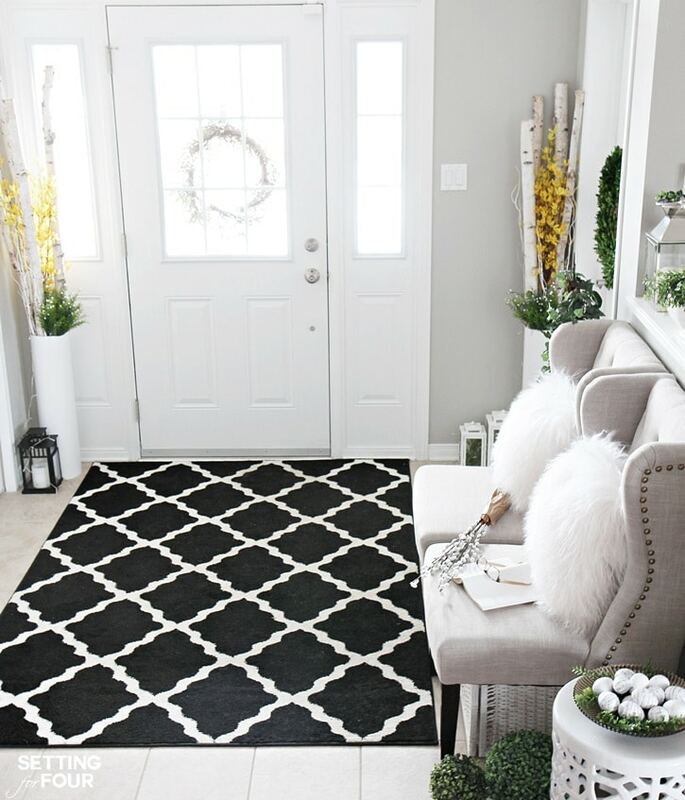 Come see my Spring Foyer – I’m sharing lots of diy home decor ideas that will add vigor to your vestibule! 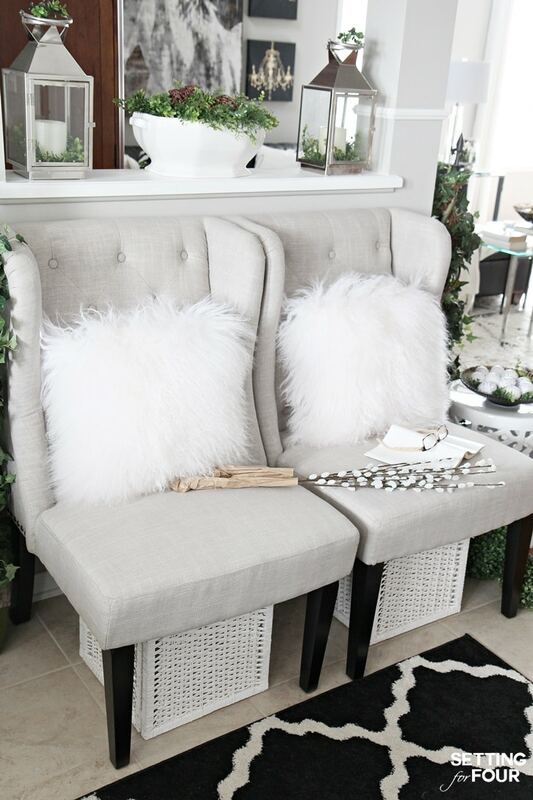 Get inspired with these beautiful spring decorating ideas! Hi friends! I hope you had a marvelous weekend and start to the week! So the backstory to this post is that I had the pictures taken for it about a month ago and then my computer crashed and I was without my computer, data, files and photos for 2 weeks (gah!) and then I came down with the flu! But better late than never! 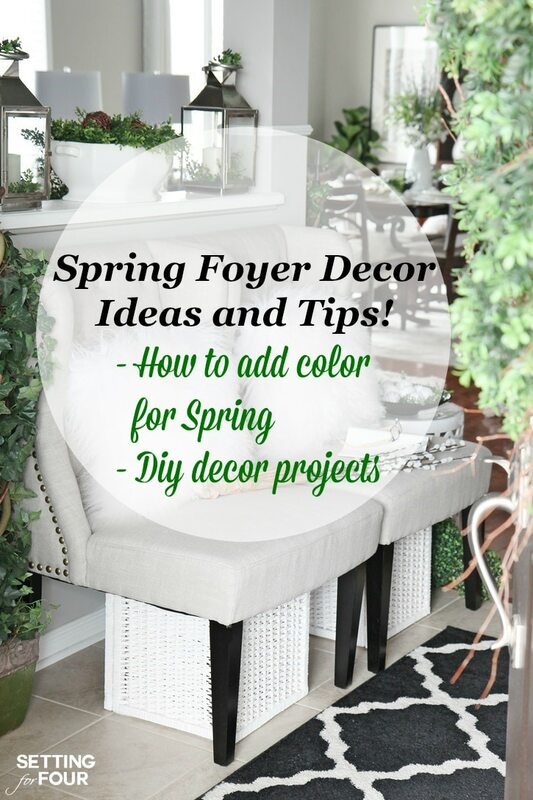 Here is my foyer decorated for Spring – I hope you find some inspirational spring decorating ideas here today that you can add to your home! Welcome to my Spring foyer! 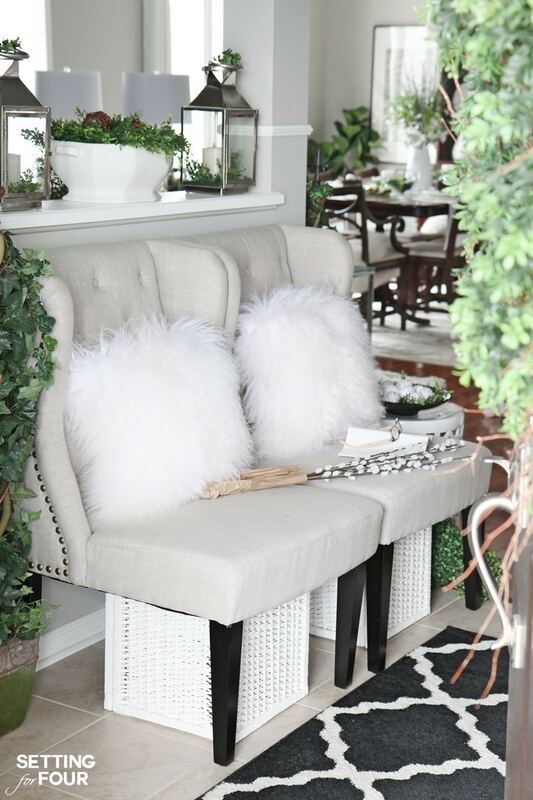 I love adding lots of touches of boxwood to add pops of fresh spring green color after the long winter. I’ve added boxwood into my lanterns, and an ironstone bowl. 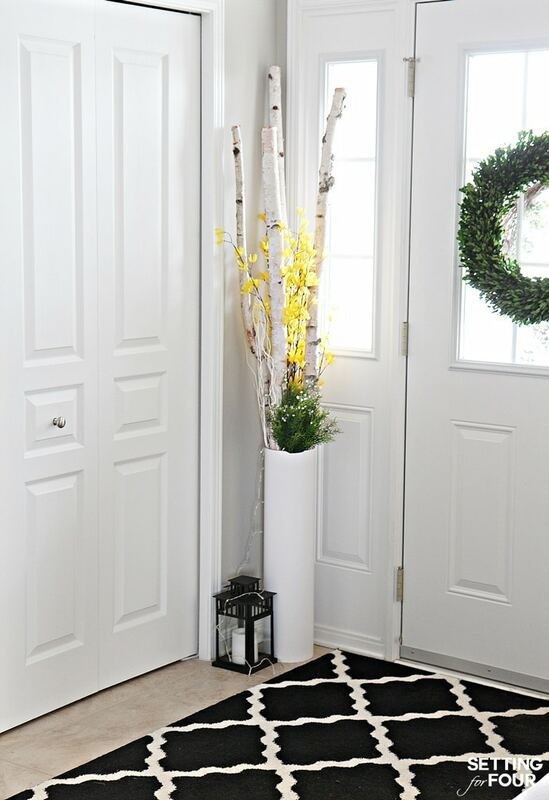 To add color and height to the corners of my foyer I made these DIY birch branch vases. 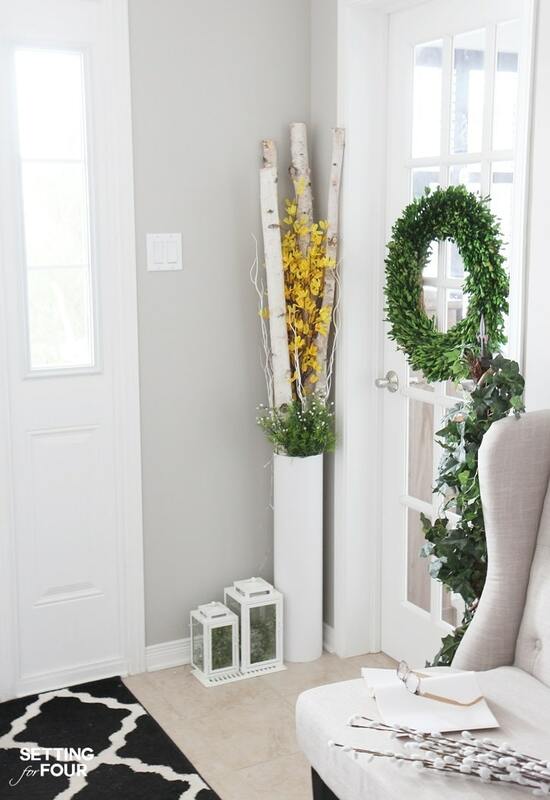 This DIY decor project is easy to make – just find a tall vase and add birch branches, faux forsythia branches and some faux white berry picks. I love how these spring vases soften the corners of our foyer and add another pop of color. Forsythia is such a beautiful herald to the spring season! 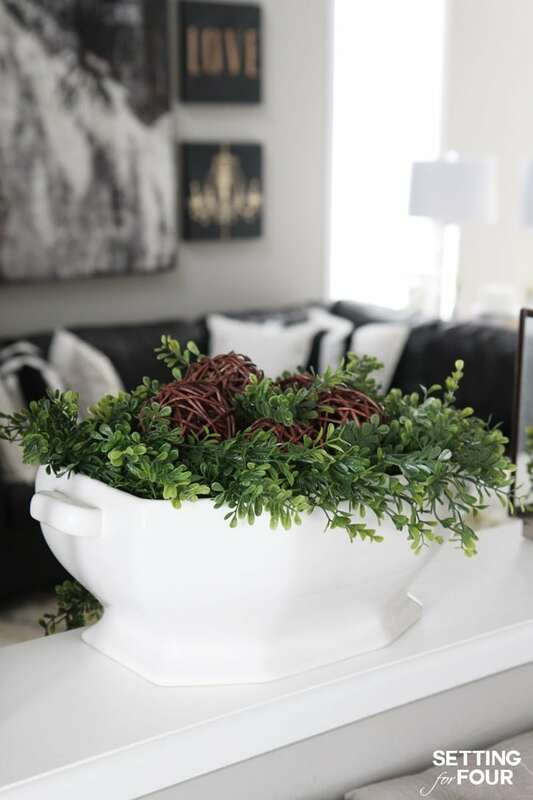 I love to collect ironstone and vintage white bowls – this is one of my favorites! I added a few grapevine balls and faux boxwood garlands. This DIY decor project takes literally minutes to put together! I also hung a boxwood wreath (using these awesome clear hooks!) on the inside of my door – why shouldn’t the inner side have a wreath on it too? Here’s another look of my Spring birch branch vase – see how it adds height and brighten’s up the corner? I also put in battery operated mini lights in it – they come on at night with a timer. I’m a bit obsessed with lanterns…as you can tell! I added a few white ones to my foyer – and for spring I put boxwood spheres in them instead of candles. Pussywillow branches are a gorgeous touch for spring….I love their texture and soft gray color! 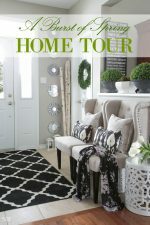 I hope you liked seeing my Foyer and Spring Decorating Ideas! How do you add color to your home for Spring? Click on the image to go straight to the source! Some similar items included. If you ever have any general decorating questions – shoot them my way! I’d love to answer them in a blog post and Facebook! Don’t miss the awesome Spring Cleaning Giveaway I have on now! 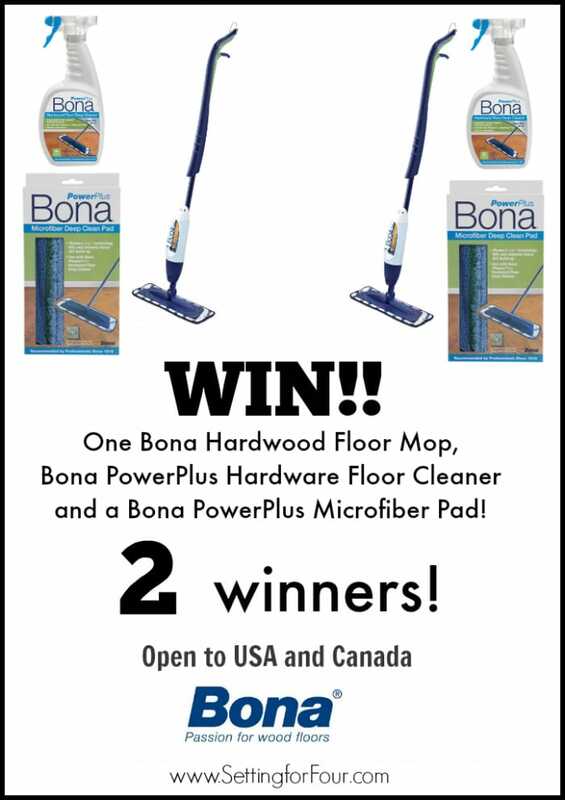 Win a Bona Hardwood Cleaning supply package – open to USA and Canada! …and the Epson Label Printer deal on now for Setting for Four readers! 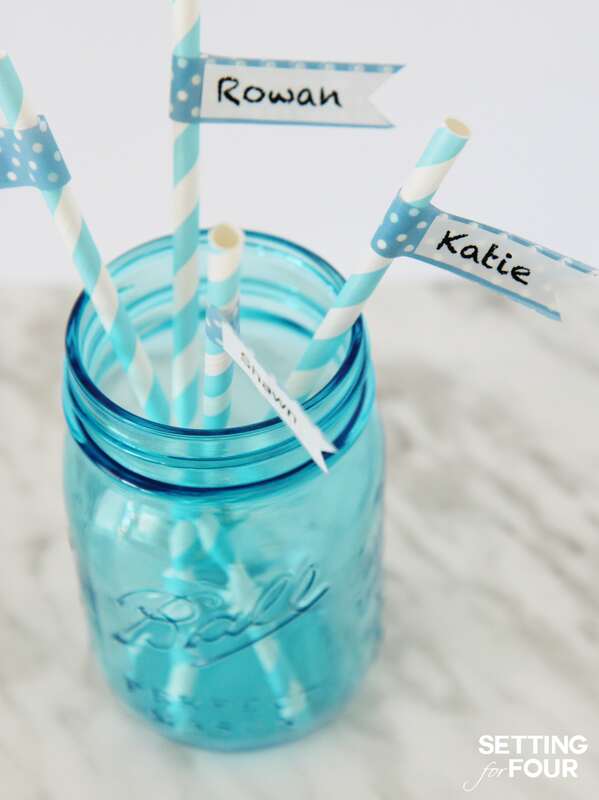 Use discount code LW25SAV here and get 25% off the NEW Epson Labelworks label maker that prints labels and on ribbon too! Can I ask where did you get your tall white vases? Hi Glenda – I got them at IKEA! 🙂 Thanks for visiting! Very pretty spring foyer! I love your decorating style. Thanks for sharing! Beautiful foyer! 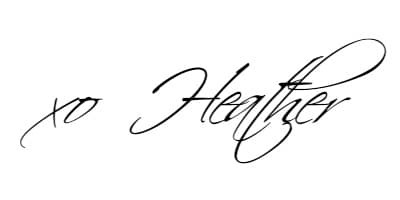 I pinned to save! Have a great weekend! 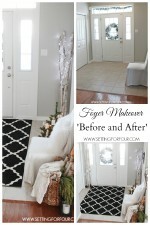 Lovely foyer – I pinned and googled+ your wonderful ideas.